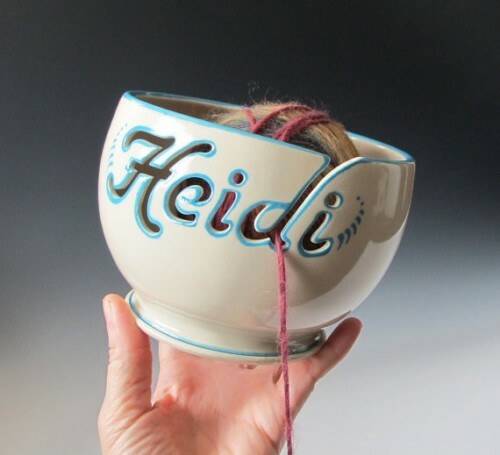 Most knitter, crocheters and other yarn crafters have seen those lovely yarn bowls with the niche in them to feed your working yarn neatly. 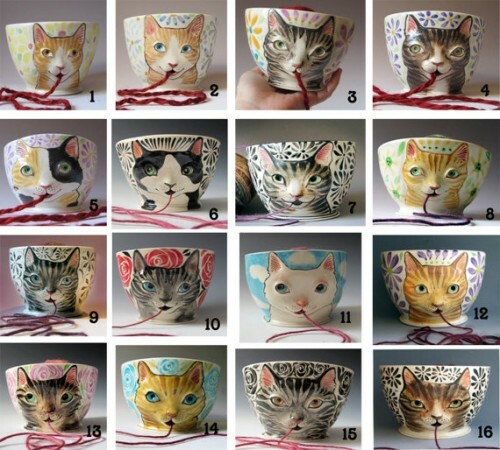 Well, Etsy store Maid of Clay Ceramics has taken the idea one step further and made the bowls personalized. Every name feeds the yarn a little differently based on the letter in it. Don’t want a bowl with a name on it? How about a cat that looks just like yours? These would make wonderful gift for Mother’s Day, but get your order in soon as she makes these to order and they take 3 to 4 weeks. 6 years ago by Kat in Crochet , Knitting , Needlecraft , Tools | You can follow any responses to this entry through the RSS feed. You can leave a response, or trackback from your own site. Those are lovely! 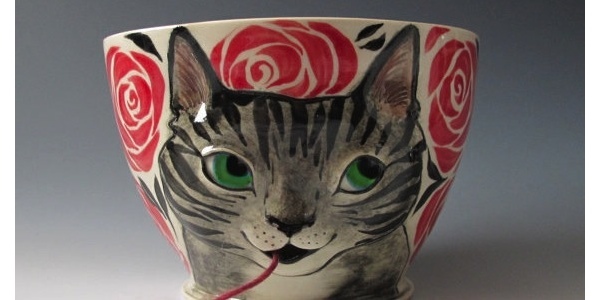 I’ve been wanting a yarn bowl for ages.